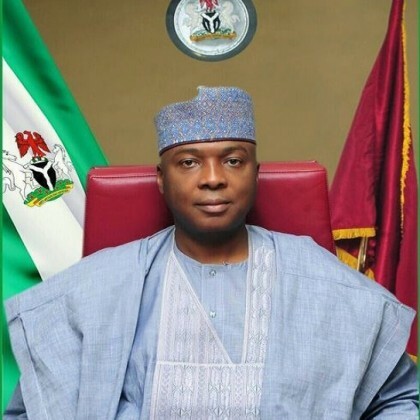 Senate President, Abubakar Bukola Saraki has congratulated Muslim faithful on the successful completion of a month-long Ramadan fast while urging all Nigerians to imbibe the spirit of tolerance, peace, patriotism and love for one another as a way of building a strong and united nation. “We should put into practice the lessons of tolerance, perseverance, and love for our neighbours that we learnt during the Ramadan period to overcome the multiple agitations threatening the corporate existence of our country,” Saraki said. “We should realize that our strength as a nation revolves around our diverse nature, and we must do all we can to ensure that we manage these diversity to build a strong, economically viable, politically stable and prosperous nation”. “We should learn to always follow the path of dialogue in resolving our differences rather than advocating for violence and other extra-constitutional means to settling our grievances,” he said, adding that the economic situation of the country was a major contributor to the growing agitations and tension. He reassured Nigerians that the government was fully aware of the difficulties faced on daily basis by the people and is working seriously to get the nation out of the current recession very soon. “Both at the executive and legislative levels, we are putting together policies and laws aimed at returning the country to prosperity and the indices coming out from the experts show that the measures we are taking are yielding good results. We can only plead with the people to continue to show understanding and know that we will not take their patience for granted”, Saraki stated. “I will like to also use this occasion of the Eid-el-Fitri, as I did in my message at the commencement of Ramadan fast, to urge all of us to continue to pray for the quick recovery of our dear President, President Muhammadu Buhari. My thoughts and prayers are always with him for his quick recovery and safe return to continue with the enormous task of nation building”, the Senate President stated.